The installation of a kitchen countertop is among the last things to do in your kitchen. To install countertop involves more than mere consideration of materials to be used. Sufficient preparation is of uttermost importance. It’s important to ensure you have a good finish. Before embarking on creating the templates, you must ensure the permanent installation of all of your kitchen cabinets. We have outlined below how to prepare on the model day. Always ensure you have the sinks on site. Ensure they fit in your kitchen cabinets: for drop-in and standard under-mount sinks. Apron-front sinks have several possible ways of bowl placement, with the counter of some sinks fitting into a notch. The sink drain may take an offset position. You do not necessarily have to center the faucet on the sink. Ensure you make all your decisions before the plumbers begin their work. This will minimize the risk of elements not complementing each other. A kitchen countertop with a wall-mounted faucet is easier to wipe. The right knowledge of the position of the walls after installation of the backlash is essential for the installation of this faucet. Overhangs of about six to twelve inches may need support. A good choice of braces to support the overhangs can improve the aesthetic value. It will also ensure support for an excessive weight, too. 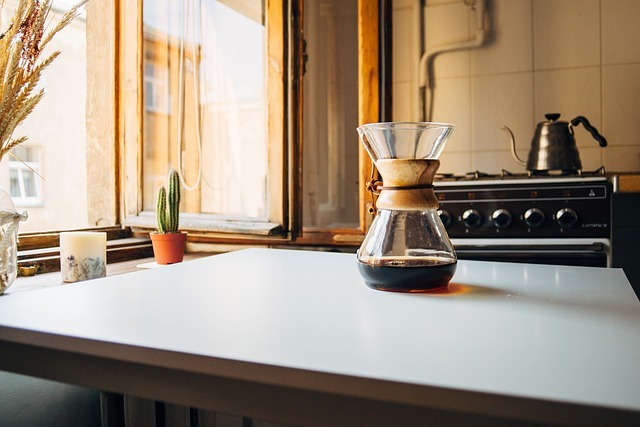 Different countertop heights serve different functions for different people. 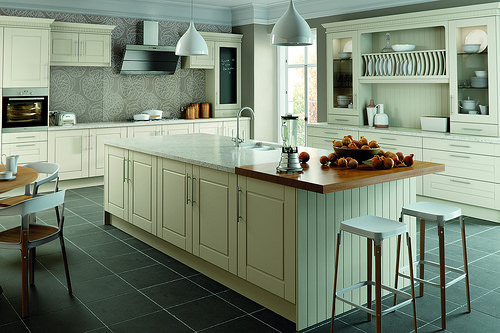 The use of materials with varied thicknesses helps to achieve various heights on standard cabinets. This is important when trying to make it more comfortable for taller people. The kitchen cabinets provide support for the countertops in most of the spots. The countertop support around the appliances is another matter altogether. For example, if the counter ends on a dishwasher, you will need to provide structural support for the shelf on the side. The dishwasher will not be able to support the counter. Depending on your priorities, you will need to decide on how much of your sink will show. This is especially important for the installation of under-mount sinks. For example, before you install countertop the edge should be flush with the sink walls. This is important if easy cleaning of the sink is your priority. Most counters have seams. Some will be hard to spot, though. It is important to know where the seams are. Templates are typically made in two ways. The low-tech method is the formation of rectangles. They fit into the spaces of your kitchen. Hot glue and strips of Luan plywood are used here. The high-tech way is the utilization of spaces photographs and paper targets. These are placed around the kitchen. The process is called photogrammetry. A laser system could also be of use for templates. Both methods produce excellent results. A two-week waiting period before you install countertop is normal. This comes after you have finished with the templates. After you install your kitchen countertops, your plumber should start working immediately. The epoxy and silicone for sealing the materials together emit potent fumes. This is why you need to ensure the kitchen is well ventilated. Take care of this especially during the day. It is important to know the best countertop materials in the market. The installation of kitchen countertops can be a daunting task. With expert guidance, plus a little know-how, it is not insurmountable. We recommend our granite and quartz countertops. They have incomparable benefits to other kitchen countertop materials. Granite and quartz are durable. They outlast all other countertop materials. They tremendously add to the monetary value of a house. They add to the aesthetics in your Wayne or North Caldwell kitchen. They are also the safest materials for use in kitchen countertops. 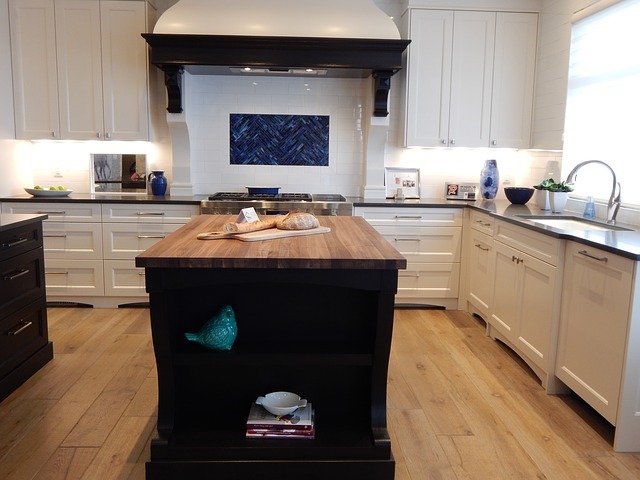 Give Aqua Kitchen and Bath Design Center a call before you install countertop in your kitchen!